I am “Ashtar”. It is seldom that I come though this one, James, only two times before as we find it. That is for a reason. The one known as “James” is much more attuned to “Sananda”. I am here now, in this time and this place, this moment because many of you, most of you are attuned to my energies and are a part of my command. 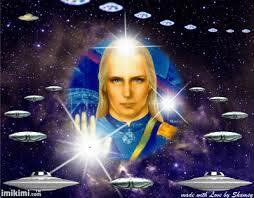 The Ashtar Command. Yes, my dear Rita was correct; I have many ships at my disposal. Many millions of ships. We are all standing outside of your atmosphere, watching and waiting for the moment to be given, the signal to be given. That we can begin to uncloak our ships. That we can begin to move down. To be a part of what is being called first contact. That time, as “Sananda” has spoken of is nigh. It is fast upon you now. Many of you are feeling a sense of anticipation. Some, even for years here. But in these last days and weeks many of you have felt this anticipation rising. You have been feeling that something is just around the corner. Something is just outside eluding you at this moment. You know that so many things are happening behind the scenes. 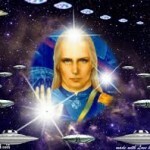 Preparing everything for the moment, for the times where we, as the Ashtar Command, can be a part of this process. There are many of us preparing for this. This is what we came here for. Many of you are up in our ships as well in your multidimensional selves and in your dream states are with us. You are preparing along with us. Preparing the time for when we can introduce ourselves to the world. The world in that moment will be transformed beyond your imagination. 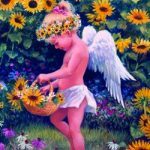 I tell you now, as “Ashtar” and as “Sananda” looks over, we tell you, you are on the verge now of a great many changes, of a great many instances to occur. The mini-events leading up to the greater one. To the one when “Prime Creator” says, “NOW”. When that occurs you will all be ready. You will all be ready. You have been being prepared. Even those who do not know it yet, you have been. Deep within you the energies are stirring. Your chakra centers are expanding and growing. Your Pineal Gland is reawakening. Your DNA is being adjusted. It is being reconnected. All of this is happening NOW. Not in the future. Not in the past but NOW. You are in this moment now. It is time for all of you to reach back. To understand who you are. Truly who you are. You are not just this body. You are the consciousness within this body. You are the God Consciousness within this body, the Source Consciousness. All have this. No one does not have this. I love you deeply. All of you. Even those who are so close to me and yet so far. I reach out my arms now to you, to those of you who know me well. I reach out my arms now and envelop you, feel your emotion, your love and the ONE-ness that is you. All of my love be with all of you even those who are not attuned to me at this time. I assure you that in the not too far off future we will all be attuned together. Pease and love be with all of you.